Our department emphasizes the use of anthropology to solve problems and improve people's lives. All faculty members are applied anthropologists. What unites us are our flexible intellectual and practical approaches. We challenge epistemological boundaries by using mixed methods, relying on interdisciplinary or multifaceted approaches. Our dedication to students is driven by a department culture based on collaborative decision making, camaraderie, congeniality, and support of collaborative work, motivated through creatively generating solutions instead of outperforming others. Our department offers the following areas of interest: Business Technology and Design, Public Health and Medical Care Systems, Population Displacement and Migration, Education and Education Equity, the Environment and Environmental Sustainability, Urban Anthropology. Two members of the UNT anthropology department are also on the steering committee of the Consortium of Practicing and Applied Anthropology Programs (COPAA). However, our identity as a department is broader than just applied anthropology. UNT's undergraduate major in anthropology exposes students to the full range and breadth of what this field can be. The faculty also actively engage in traditional academic activities such as publication. Susan Squires and Christina Wasson have extensive experience working in this area. It encompasses design anthropology and user-centered design, communication in the workplace, human-computer interaction, consumer behavior, diversity and globalization, and organizational anthropology. Drs. Wasson and Squires have deep networks in business, technology, and design, providing opportunities for partnerships with a variety of organizations. Their interests span both private and nonprofit sectors. Alicia Re Cruz, Mariela Nuñez-Janes, Doug Henry, Andrew Nelson, and Adam Dunstan represent this area. Topics covered include the situations of migrants and refugees, religions and cultures of immigrant groups, and experiences of migrants to the United States. In this field, students have local access to the people and issues typical of a border state like Texas. Lisa Henry, Doug Henry, and Beverly Davenport specialize in this area, which addresses public health, healthcare delivery, indigenous medicine, and the health issues of ethnic minorities, migrants, and/or refugees. We are affiliated with UNT Health Science Center at Fort Worth. Mariela Nuñez-Janes and Alicia Re Cruz represent this area, which focuses on schools and the educational process. Connections between culture and education are explored in a variety of contexts, with attention to teaching and learning issues. Both faculty members focus on the challenges of bilingual education. Adam Dunstan, and Jamie Johnson represent this area, which includes community-based conservation of natural and cultural resources, spiritual ecology, cultural landscapes/seascapes, indigenous peoples and protected areas, traditional ecological knowledge, human ecology, sustainable development, ethnoecology, political ecology, environmental justice, world views concerning the environment, and globalization and environmental policy. Andrew Nelson, Mariela Nuñez-Janes, and Jamie Johnson represent this area. Urban anthropology studies social phenomena in cities with an emphasis on the relationship between spatial, cultural, and political-economic structures and the everyday life of people. It has applications in the arenas of policy, planning, social and health services, education, labor and migration, technology, business, ecology and community relations. Archaeology is generally considered to be part of anthropology. 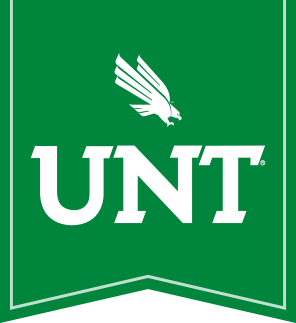 However, at UNT, our three archaeologists, Reid Ferring, Lisa Nagaoka, and Steve Wolverton are housed in the Geography Department. Undergraduate students who are interested in Archaeology may major in Anthropology or Geography at UNT. To choose the correct major, students should seek advice from faculty members in both departments. Generally speaking, those interested in archaeology with an anthropological focus (concerning social and cultural perspectives) should major in Anthropology and then take a variety of Archaeology courses. Those students interested in Archaeological Science (environmental archaeology, geoarchaeology, zooarchaeology) should major in Geography. Graduate students interested in studying Archaeology at UNT must do so through the Master's in Applied Geography program. All Archaeology courses are listed under the ARCH prefix and are taught through the Department of Geography. The Archaeology Minor: if a student is majoring in Anthropology or Geography and their interests lie in Archaeology, they may not minor in Archaeology because ARCH courses are part of the curriculum for each major. If a student is majoring in Geography, they should minor in Anthropology to gain exposure to relevant coursework. If majoring in Anthropology, minor in Geography to gain additional skills and concepts relevant to a career in Archaeology. A double major in Anthropology and Geography is another desirable option for those who desire a career in Archaeology. Physical anthropology is generally considered to be part of anthropology. However, at UNT, physical/biological anthropology is housed in the Biology Department. Undergraduate students wishing to focus on physical anthropology will major in anthropology, but they should take as many courses as possible in physical/biological anthropology, and they should feel welcome to consult Dr. Gill-King for advice on courses and career development.